Protecting a web page of your choice from being indexed by Googlebot is now as easy as selecting an option in WebSite Auditor’s dropdown menu! 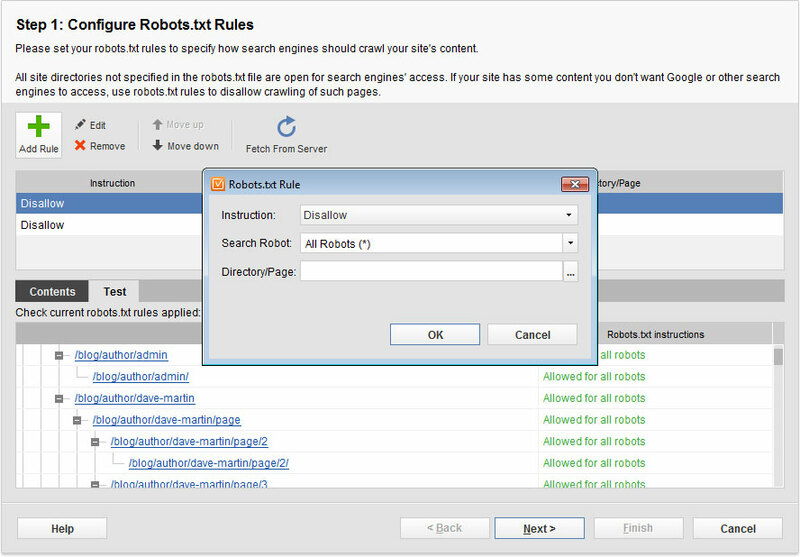 Tell search engines which of your site's content to crawl with new WebSite Auditor 3.07! Taking into account recent and coming Google updates, SEOs should pay particular attention to the best on-page SEO practices – that’s when WebSite Auditor comes in handy. Link-Assistant.Com, Europe-based SEO software provider and SEO PowerSuite maker, announced today that the on-page SEO tool, WebSite Auditor, has been enhanced with robots.txt generation function. 2. Select a page they want to protect from crawling in their WebSite Auditor’s project. 3. Opt for disallow and choose a search robot from the list. More information on the update is available at http://www.link-assistant.com/news/robots-txt-generator.html. Robots.txt is a file, which contains instruction for search engine crawlers on accessing web pages. for SEO purposes: to make sure only best-converting pages are shown up in search results. Got questions about SEO PowerSuite software? Please contact Link-Assistant.Com’s Support. Link-Assistant.Com is a Europe-based software house developing SEO tools since 2004. As of January 2012, the company boasts 380k happy customers worldwide who use SEO PowerSuite to improve their online presence. Say hello to Link-Assistant.Com at any of the company’s social media handles: Facebook fb.me/LinkAssistant, Twitter @LinkAssistant and Google Plus gplus.to/LinkAssistant. From now on you can easily create and manage your site’s robots.txt file right from WebSite Auditor – here’s how!